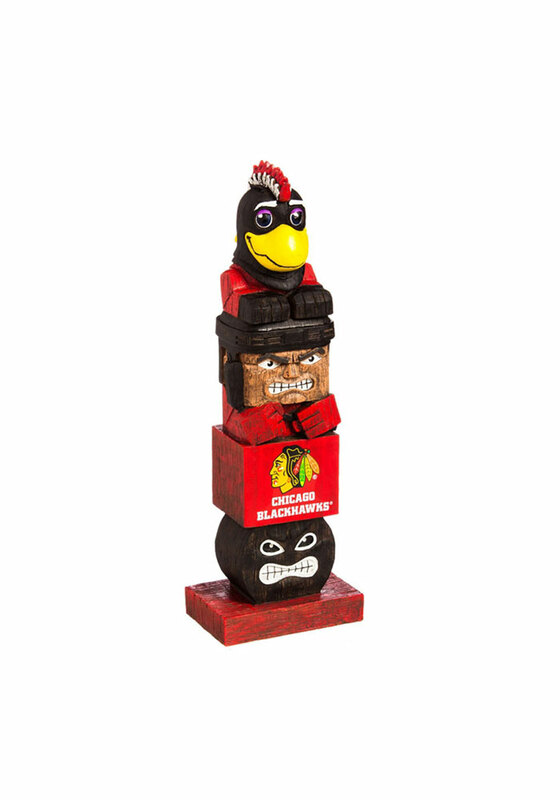 This Chicago Blackhawks Team Totem Gnome makes a fun addition to any garden or home. Surprise your friends while showing off your Blackhawks spirit with this Gnome, which features a variety of team logos and sports themed figures in the style of a traditional Hawaiian tiki totem. This team totem is an awesome gift for just about anyone. I bought this for my brother and he loves it. It stands just over a foot tall and is the perfect statement piece in a flower bed, or even in a fan cave. Really high quality and detailed totem as well.